If there’s one thing we love about this intimate backyard wedding it would be that Kathy and Chris stayed completely true to themselves from start to finish. When it came time to choose a wedding location, the couple considered only one spot for their wedding day and we must say, Kathy’s mother’s backyard played the perfect setting where this darling duo exchanged vows during an intimate ceremony and celebrated their love amongst their nearest and dearest. From the catering and decor to the lawn games and photo booth, each and every detail captured by Lin Pernille Photography, beautifully blended a casual rustic wedding style full of personality that’s sure to inspire. 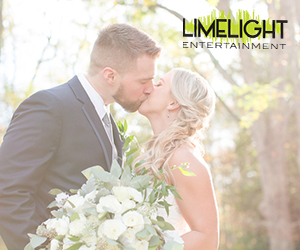 From the Lin Pernille Photography…Kathy and Chris were married in a rustic backyard wedding held in the backyard of her mother’s English Tudor in Englewood Cliffs. Kathy’s daughter Katja acted as her wedding planner, handing all of the creative elements and styling the wedding to a T! They were pronounced husband and wife in a personal & intimate ceremony on the lawn, surrounded by family & friends. After 10 years, Kathy and her daughter and Chris and his son officially all became one big family. The guests enjoyed custom cocktails and delicious passed hors d’oeuvres & finger food prepared by Della Terra Catering. The entertaining cocktail hour was even complete with fun backyard games including corn hole, ring toss, and sandbag tic tac toe. The party moved up to the deck where Kathy & Chris had their first dance as a married couple. Friends & family joined in on the dancing until dinner was served. Guests were invited to enjoy a delicious spread of All-American favorites including mushroom mac and cheese, make-your-own-slider bar, caesar salad bites, and grilled veggies. Even the plates, cutlery, and coasters were in line with the rustic theme! After the guests finished their meals, the dancefloor was opened again and guests danced the night away.